After Severe TC Veronica produced historic rainfall and severe, dangerous flooding across the Pilbara.. it appears as though WA might need to prepare for another system which is brewing North of the NT at the moment. 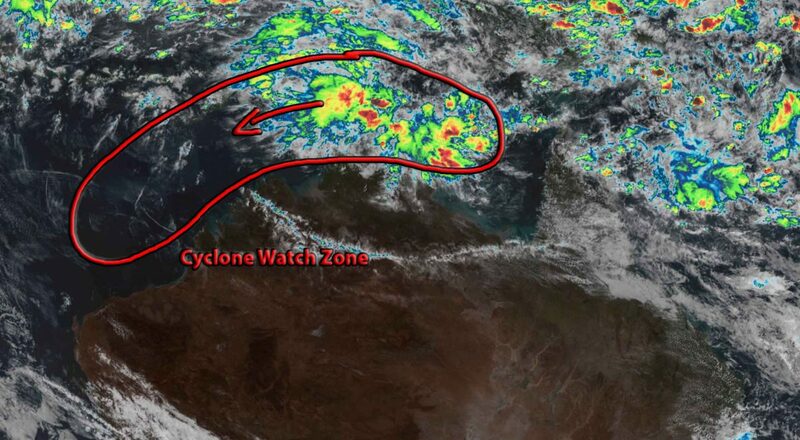 Above image via RAMMB – Cyclone Watch Zone is via HSC. A ‘Cyclone Watch’ refers to an area where conditions ‘may’ become favourable for tropical cyclone development – it doesn’t mean that a cyclone is guaranteed. 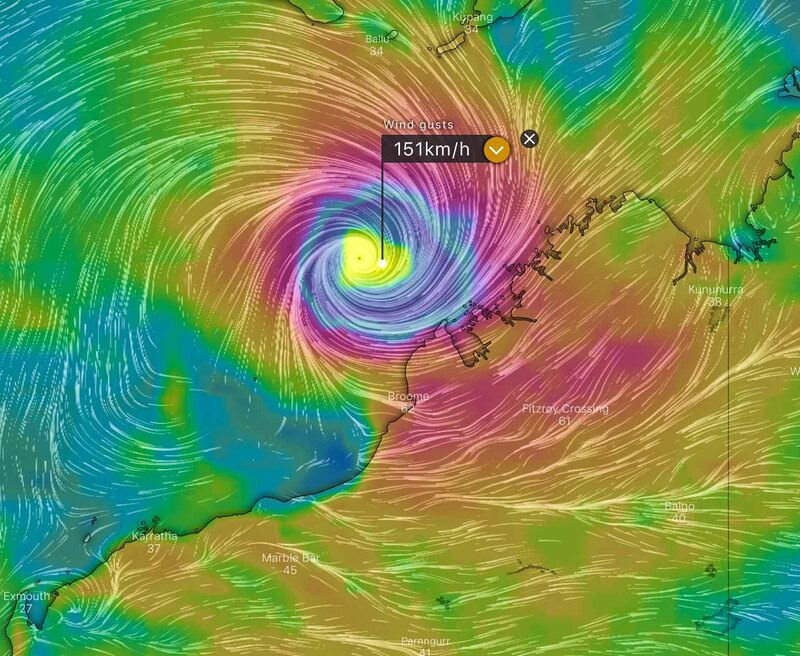 Its common for people to believe that April isn’t a cyclone month, however this is simply untrue and 2019 may prove that once again. Historically, some of the strongest cyclones ever recorded have occurred in April (even late April) and in 2019, while a ‘major’ cyclone isn’t on the cards at this stage, we are monitoring a cluster of thunderstorms situated across the Arafura and Timor Sea’s North of the NT which is currently being forecast by several global models to consolidate over the next few days into a weak tropical low. This will inevitably produce increased showers, rain periods and thunderstorms across the QLD Peninsula and Northern NT areas. However from the weekend onwards, things are looking a little more interesting. Global models are remaining in some form of agreement of tracking and intensify of the tropical low, albeit greatly varying timeframes. The majority of global models are expecting the system to intensify while tracking West to South West into the Joseph Bonaparte Gulf, West of the NT / North the Kimberley. From there, the system is currently ‘more likely than not’ to become a tropical cyclone over the Indian Ocean North or North West of the WA Kimberley. While a landfall location is very hard to pinpoint so far in advance, as a lot will depend on the timing of an approaching high pressure ridge – models are currently favouring the system to turn back towards the Coast which “could” mean that the Pilbara may be under threat again. At this stage, if the system were to become a tropical cyclone then models are indicating it will probably remain below ‘severe’ strength. In saying that though, sea surface temperatures are remaining extremely warm, so if a period of very little wind shear occurs, then rapid intensification cant be ruled out. Further updates will occur for the progression of this system over the next few days.